By now I think everyone must know about Find-a-Grave. It’s the go-to site for death/burial data and potentially even biographical information. But suppose the person for which you are searching has no memorial on find-a-grave — yet. If he/she served in the military or was a dependent of a military vet, you may want to try the Nationwide Grave Site Locator hosted by the United States Department of Veteran Affairs [link]. 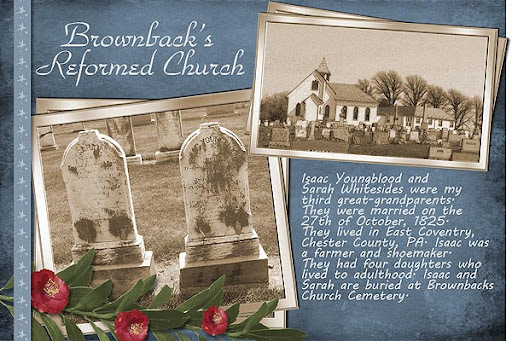 I stumbled upon this site a couple of days ago and found missing death and/or burial information for several people in my genealogy database. I was originally looking for confirmation that my Mom’s cousin was buried in Arlington National Cemetery. After finding him, I ran a few more searches on some of the surnames I search. I was lucky enough to find several more (distant) relatives in various cemeteries throughout the U.S. – especially those who died relatively recently. So if you haven’t already, here’s another site to add to your genealogy research tool box. One of the reasons I had not been there before was that I was trying to convince The Spouse to accompany me on this trip — actually I wanted him to drive. It’s not that it is that far — less than an hour if the traffic isn’t bad. The problem is that while my car (SUV, actually) is great for transporting multiple kids and their gear, it’s not so great navigating narrow, unfamiliar city streets. At least not with me driving it – LOL! So I was really excited and somewhat surprised when he agreed to go there with me Sunday afternoon. Our somewhat reluctant 13 year-old came with us as well. Actually, it’s quite telling how upset The Spouse is with the way his beloved Eagles are playing that he agreed to the cemetery trip on Eagles game day! But I digress…. In preparation for the trip, I created a spreadsheet based on the information gathered from my online search of the Laurel Hill Cemetery records. The format was pretty simple – I had columns for Surname, First Name, Section, Plot and Burial Date. I had about 80 people in the spreadsheet but only about 24 unique plots. I also printed out the cemetery map – which indicated each section. My plan was that once we reached the cemetery, we would proceed through the list, section by section, find the relevant plot(s), take the photos and mark off the names on the spreadsheet. Quick, simple, efficient. Unfortunately, as you can imagine, everything did NOT go according to the plan! First, we took the “scenic” route there and so the trip took longer than expected – meaning we would have less time to spend at the cemetery since gates close at 4:00. Then there is the cemetery itself – it’s huge and the roads are very narrow with limited space to pull off and park. Armed with my cemetery map and spreadsheet, I had a false sense of confidence in our ability to quickly find the grave sites of interest, thus thinking that a stop in the cemetery office was unnecessary. We drove rather aimlessly at first, just trying to find a spot where we could pull over and park. We finally found a spot near section Y. At first I was thinking that this was good. I had a Bechtel family plot on my list in section Y that we would be able to start with. Unfortunately it’s a little difficult for a first-time visitor to figure out the boundaries of each section since they just sort of all flow together. The three of us searched for about 30 minutes before finding the Bechtels – only later realizing that most of that time we spent searching we had drifted into the adjacent sections. Then, when we finally find the plot, there are only 4 tombstones instead of the expected 7 and one of those was completely worn and unreadable. Ugh! At this point, I was feeling a little discouraged and thinking we needed to come up with a plan B. The Spouse and the Reluctant Teenager, not really being into genealogy in the first place, wholeheartedly concurred. So our next stop was the cemetery office. We were hoping someone there would be able to pinpoint where the plots were located within each section. At this point my high hopes of locating all 23 of the remaining plots on my list in one afternoon were dashed. (Actually, I knew this after about the first 10 minutes, when we were having problems finding the Bechtel plot.) So I chose 4 plots, which the man working at the office helped me locate on the large master plot map they have on display. I then marked the approximate locations on the printed map that I had brought from home. Surprisingly, before we left the office, The Spouse had struck up a conversation with the helpful cemetery worker about the various military generals and other famous people buried in the cemetery. Who knew! I am happy to report that we found all four of the plots that the cemetery worker helped us pinpoint on the map – and in searching for those, we also found a few others that were on my list. 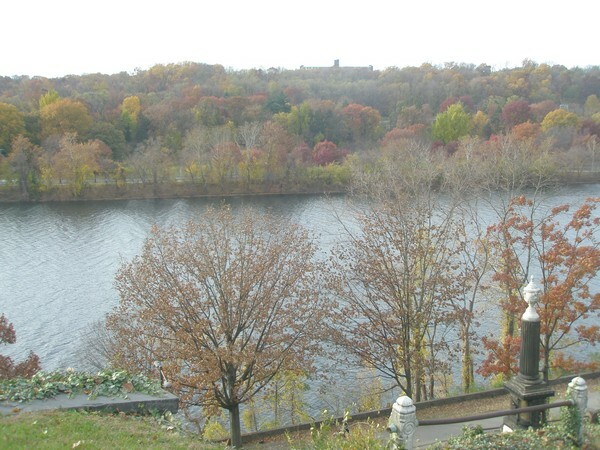 The cemetery sits high on a hill above the Schuylkill River adjacent to Fairmont Park, so we also saw some absolutely stunning views! All told, I took about 50 photographs – including tombstones for people on my list, tombstones of people in adjacent plots (in case they are related), tombstones of people with familiar surnames that we stumbled upon while searching, and a few that were simply of the amazing views. Yesterday I cropped and processed the photos and added memorials to find-a-grave [link]. A few of the people whose tombstones I photographed already had memorials, so I just added the photos. I’ve also added some of the photos to this posting. All in all, I think even The Spouse and The Reluctant Teenager had an enjoyable afternoon. Ever hopeful, I am looking forward to our next road trip to Laurel Hill Cemetery and finding the remaining plots and tombstones on my list!! I would venture to say that most genealogists/family historians have heard of findagrave.com. It is definitely one of the most popular websites for user-submitted burial information. Well, a few months ago I came across webcemeteries.com. In a way they are the opposite type of service in that they provide “cemetery internet packages” to cemeteries both large and small in order for them to create websites and searchable databases of their own records. They also have an American Legacy Initiative that provides small cemeteries and independent genealogists with the tools needed to create and manage websites and databases for the burial records of legacy cemeteries. When you visit the webcemeteries home page, you can click on the “Search Cemeteries” option to get a listing of all the cemeteries participating in their program. I did a quick count and came up with about 36 or 37 on the current cemeteries list and almost as many on the legacy list. I noticed several from Pennsylvania (which is where most of my research is centered), but there are other states represented as well. In addition to searching on a per cemetery basis, you can optionally search all the cemeteries in their system at once. In order to do this, select “Genealogy and Memorials” from the home page. You will be taken to the site cemsearch.com. The search box on this site will return a list of all the matching records from all the cemeteries in the webcemetery program. Clicking on one of the returned matches will take you to the individual cemetery record for further information. Webcemeteries is a site definitely worth checking out. You may also want to monitor it every couple of months or so to see if any new cemeteries of interest to you have joined their program. So that’s the Friday’s Find this week — webcemeteries.com! 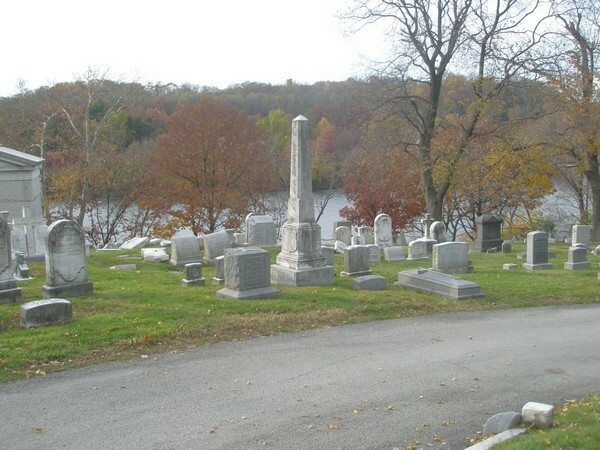 Laurel Hill Cemetery, located in the East Falls section of Philadelphia, Pennsylvania, is the final resting place for many famous and not so famous Philadelphians. 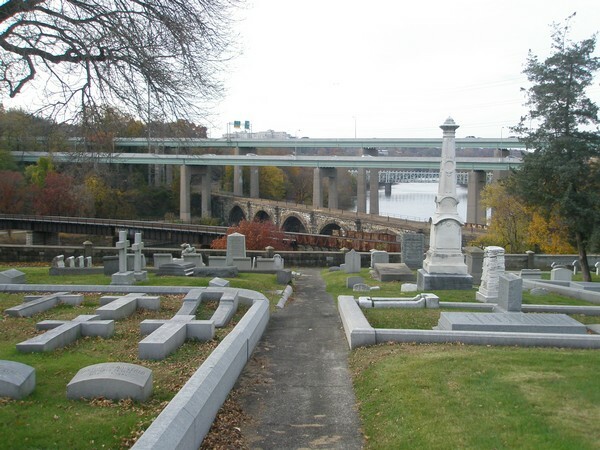 Founded in 1836, it is one of the few cemeteries designated as a National Historic Landmark. It comprises about 78 acres divided into three sections: North, Central and South. If you have ancestors or extended family who lived in Phladelphia in the mid-nineteenth to early-twentieth centuries, there is a very good chance that one or more may be buried in this cemetery. And the best news – Laurel Hill has an excellent website that you can check out here. In addition to detailed historical information, the website also has a searchable database!! To access it, go to the main website, select “Resources” on the side menu bar, then “Records” on the top menu bar. From there, just click on “Search” and enter your ancestor/relative’s surname. The results include the Section and Lot number, so if you are planning to visit the cemetery, you have a pretty good approximation of where to look for the grave. This is definitely a site to add to your Resource List or Toolbox if your researching Philadelphians!